A Kent State University associate professor recently published a paper detailing how the world is not ready to deal with a large-scale epidemic like an undead uprising. And the Centers for Disease Control and Prevention hosts a page on Zombie Preparedness. Sure there’s some tongue-in-cheek wordsmithing at play here, but why not start preparing yourself for the possibility by streaming How to Survive: Storm Warning Edition, which is a proven hit amongst zombie game fans? It’s this week’s new GeForce NOW release on SHIELD Streaming Media Player. Prepare Yourself for the Zombie Apocalypse! How to Survive shipwrecks you on an isolated chain of deserted islands—deserted by everything but the undead, of course. 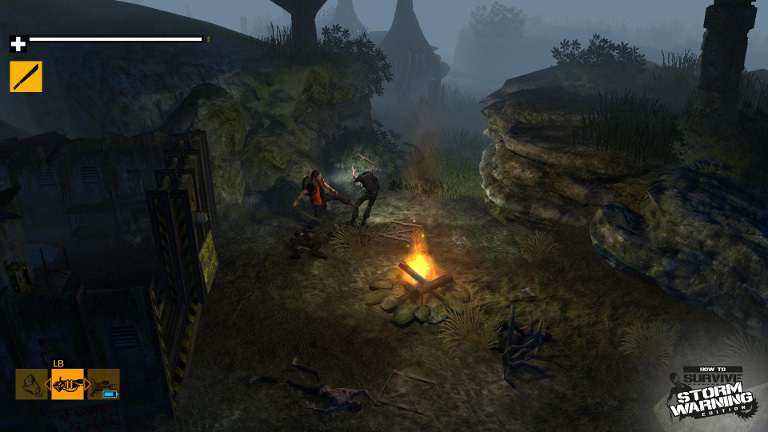 Playing from a top-down, third-person perspective, you must scavenge for food, water and shelter. And you’ll need to collect the resources you need to make weapons to fend off all these zombies that want you for lunch. Hidden about the island are pages of a survival journal that you can find that will give you all sorts of helpful survival tips and tricks. 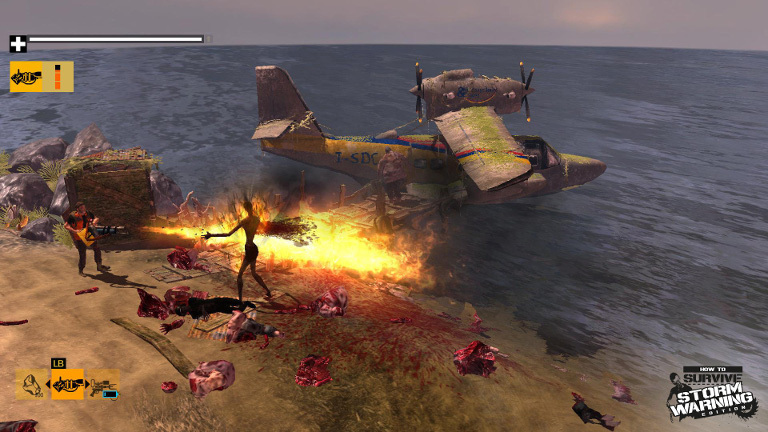 The Storm Warning Edition includes all the DLC content released for the original How to Survive game, which adds several new missions, characters, weapons, and skins to the mix. There are three different characters you can choose to play as, each with distinct strengths and weaknesses. Altogether, you can make more than 100 tools and weapons, including axes, shotguns, Molotov cocktails and mines. And your zombie survival quest will take you through four separate islands, each teeming with unique flora and fauna—some of which is deadly (piranhas), and you can use that to your advantage. You can elect to fight a group of zombies with the direct, Rambo-style approach, or go for the more Sam Fisher-like, stealthy approach and kill quietly from the shadows. Keep in mind that the more noise you make, the more undead come shuffling in your direction. If you find the undead menace a bit too overwhelming on your own, you can tap GeForce NOW’s multi-controller support and enlist the aid of a buddy to smack ‘em down in local co-op mode. 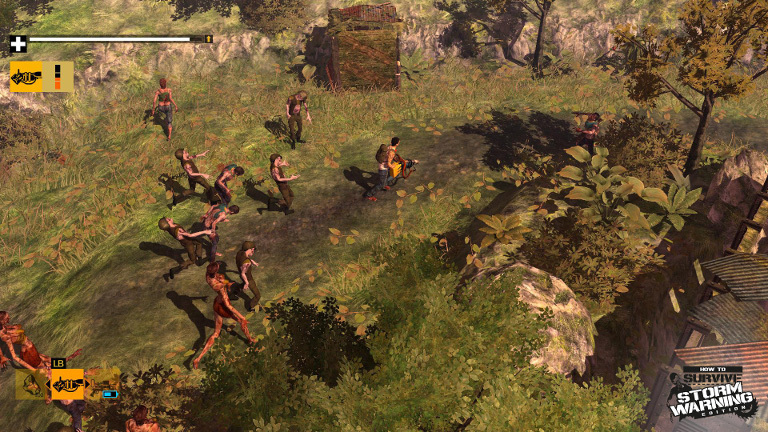 Okay, so making it to How to Survive’s gritty end may not do anything practical to help you stave off an actual zombie apocalypse. However, it just might get you pumped for the forthcoming sequel. Get How to Survive with GeForce NOW! To play, navigate to the GeForce NOW menu within SHIELD Hub on your SHIELD Android TV, portable or tablet. You’ll find How to Survive available to play instantly in the Membership Library at no additional charge.